is how great things begin." Visionaries like Daniel C. Gainey, owner of Ferzon, and Garth Buchanan, owner of Azraff, were our pathfinders. A casual walk through the lush pastures of the Gainey Ranch many years ago, mingling with mares and foals of incomparable beauty and loving dispositions, forever instilled a quest for that special "look" in an arabian horse for us here at Whitegates. 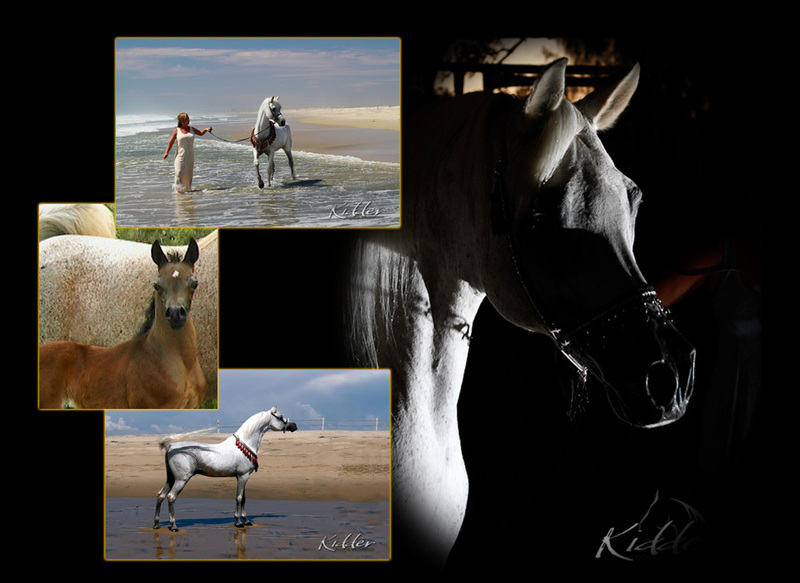 Our bloodlines are based on the pedigrees that have that special "look"
For over 30 years we have worked as a family. We have watched bloodlines and breeders come and go. We have never waivered in our vision...Now, with our bloodlines becoming increasingly rare, there is a resurgence in the quest for the "look". Come and join us, we breed the vision of the pathfinders.